Hard times’ here again and we all must muster budgeting wisely. For those looking for a sofa but is having second thoughts because of the price, we have a great suggestion(s) for you! Furniture, especially sofa sets come in so many shapes, sizes and various materials. The most popular being the genuine leather but is very, very, very pricey! For those who still want to experience the luxury of having leather couches, you may opt to look at its substitute: Bonded Leather. 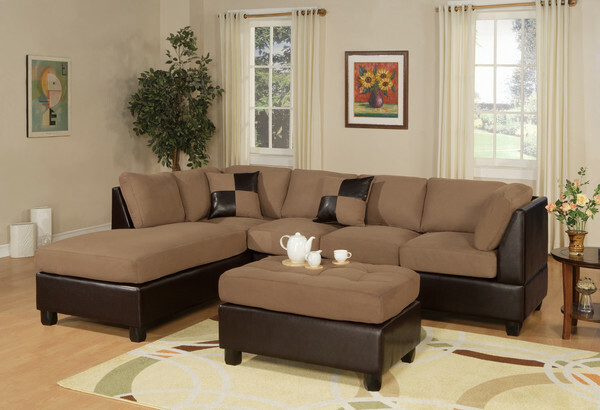 For only $999, you get the 5 Seater Couch, reversible Chaise and FREE STORAGE OTTOMAN! About 50%-60% price difference! But we’re not here to talk about Bonded Leather, rather Micro Suede Sofa which is even cheaper and is best for families with kids or pets because of the fabric’s durability and stain resistance feature! These babies are quick selling so if you want to see the range to get a personal feel of the fabric, visit Chaise Sofas website at www.chaisesofas.com.au now and give them a call to get more details! !